Looking for private in-home or in-studio Mandolin lessons? Our Arlington teachers are ready to get you started. Find your teacher today! Check out some of our most popular teachers near Arlington, TX including Dallas, Fort Worth, Plano, Frisco and Irving. Students are expected to own a mandolin so he or she can have a mandolin to practice with under the guide of the instructor. 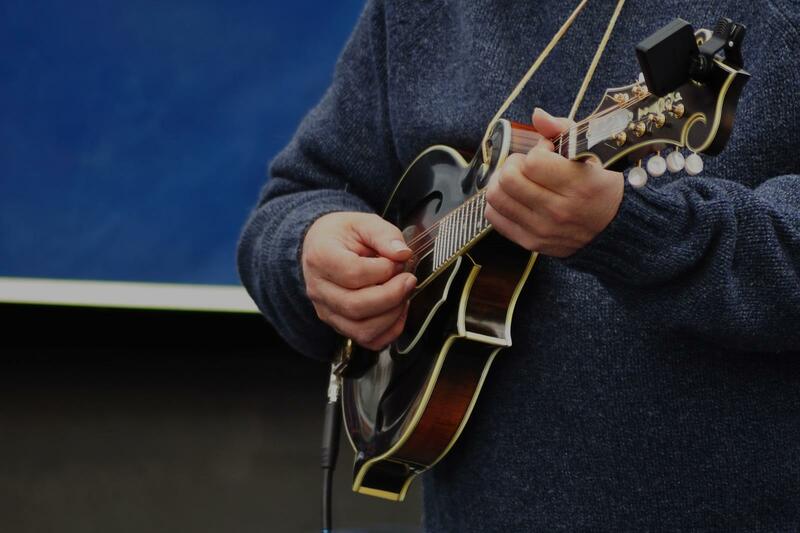 Mandolin is very painful at first (especially for non-guitarists), so you will experience pain in your fingers if mandolin is your first string instrument, but it is extremely common to experience pain while learning any string instrument. Most materials will be provided by me except for the mandolin. As students, I want you to enjoy the instrument. Most people cannot find out if they are interested in the instrument until they had learned it for awhile, so please feel free to research more about mandolin before you start. I was a music student at UC Riverside, and I am a transferred student at East Tennessee State University and my concentration is music education. I teach beginner students and intermediate level students guitar, mandolin and piano. My lesson plan heavily concentrates on theories, sight reading, and performing. My guitar lesson has three parts: chords, flatpicking, and theory. This lesson is designed for students who want to learn to play guitar as fast as possible. Students will be able to gain the proper technique to excel at the instrument in a short time. The theory aspect of guitar would focus on tabs and music staffs. t are required to be a musician. I teach around the Tri-Cities plus some nearby locations (including Asheville, NC). I mainly travel to students, but I also provide classes online. I give free first lesson to students to see if I am the right match for the student! I am from the Bay Area of Northern California, and I've taught extensively in Southern California. I relocated to Tri-Cities (Northeast Tennessee) because I transferred school from UC Riverside to ETSU to pursue Music Education, a program that UC Riverside does not offer. NOTE: If you are in Asheville area or Knoxville area and are interested in lesson with me, feel free to contact me. If you are in Asheville NC (metro area) or in Knoxville area (metro area), I will only do one-hour lesson or more. Excellent instructor. I'm very happy. Great teacher! I learned a lot the first lesson about rhythm, setting the metronome on my Yamaha keyboard, better fingerng techniques, how to l!at without looking at the keyboard, etc. Looking forward to my next lesson in a couple ovcweeks with him. Easton did a great job connecting with an 8 year old and teaching him guitar. It was a great first lesson. A two-time Acoustic Music Seminar participant and a graduate of the Berklee College of Music, mandolinist Jake plays and writes music that is galvanized by roots music from around the globe. Music has taken him all over the country, yet he was introduced to acoustic music in his hometown, the greatest bluegrass city of all time: Akron, Ohio. Jake joined his uncle’s bluegrass band (The Blue Ribbon Bluegrass Band) playing mandolin and spent the next two years refining his craft. In his years with Blue Ribbon Bluegrass Band, Jake recorded two CDs and played countless gigs all over the northeastern United States. After being urged by his friends and family, Jake applied to the Berklee College of Music, where he graduated in 2017 with a degree in Mandolin performance and American Roots Music, mentored by greats such as Joe Walsh, Maeve Gilchrist, David Wallace, and Matt Glaser. He now tours nationally with the band The Page Turners. Can't find a teacher in Arlington, TX?